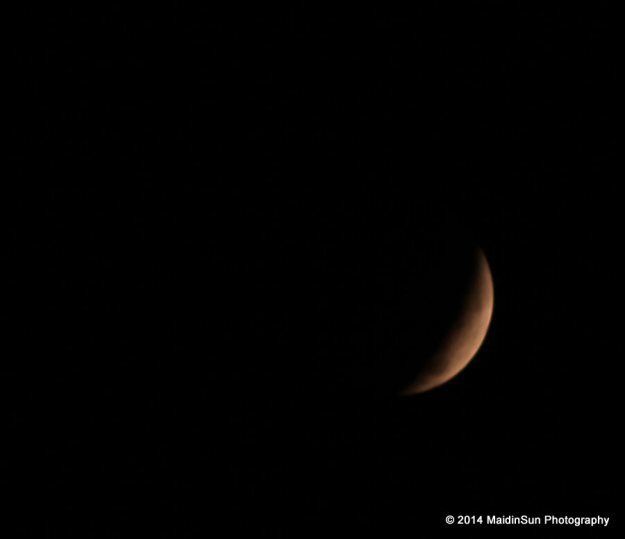 As can be expected, the recent Blood Moon and Lunar Eclipse brought out the photographers. 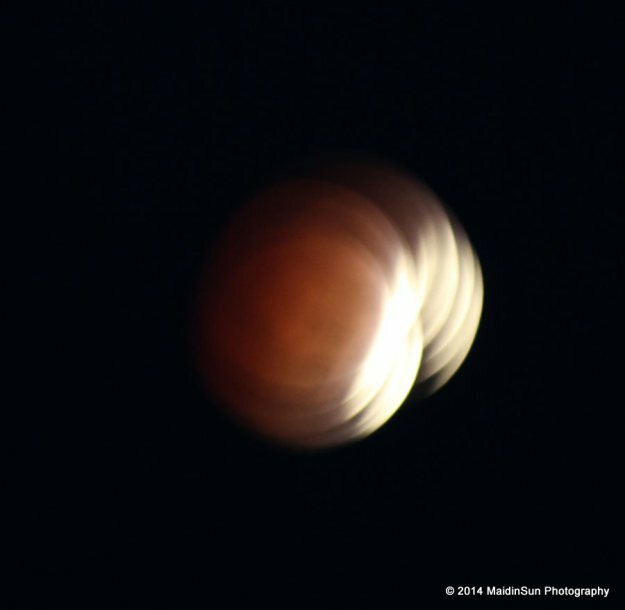 Due to medications I am currently taken, I was knocked out and didn’t rise in time to see this spectacular event with my own eyes, so I am especially grateful to those who were awake and present…with their cameras. Thank you for sharing your photos. 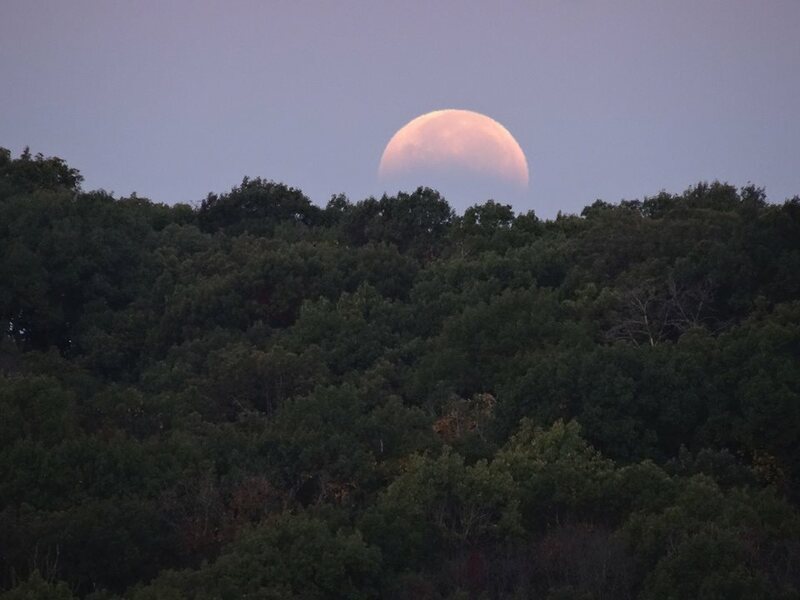 Moon rising over the trees at Circle Sanctuary in southern Wisconsin. Photo by Selena Fox. What was supposed to be so special about a full moon? It was only a big circle of light. And the dark of the moon was only darkness. But halfway between the two, when the moon was between the worlds of light and dark, when even the moon lived on the edge…maybe then a witch could believe in the moon. 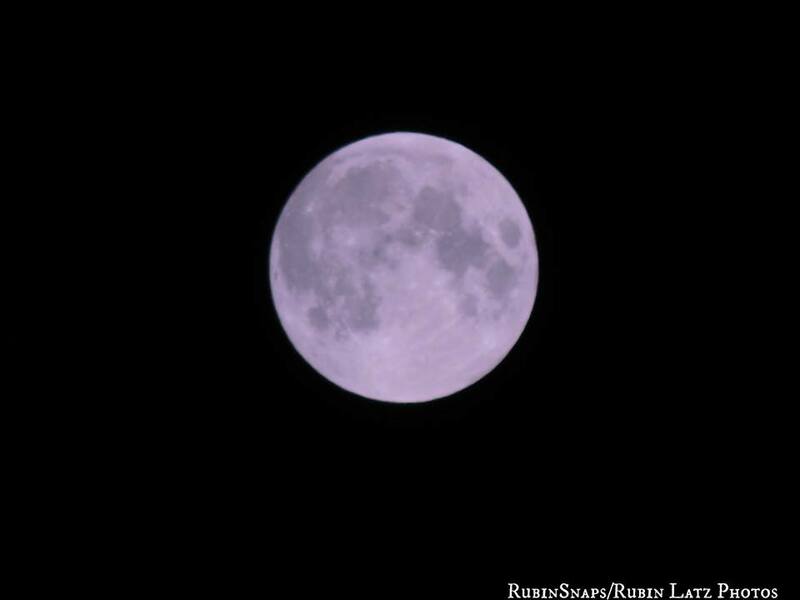 Full Moon over Norfolk, Virginia. Photo by Ken Arcia. It was lunar symbolism that enabled man to relate and connect such heterogeneous things as: birth, becoming, death, and ressurection; the waters, plants, woman, fecundity, and immortality; the cosmic darkness, prenatal existence, and life after death, followed by the rebirth of the lunar type (“light coming out of darkness”); weaving, the symbol of the “thread of life,” fate, temporality, and death; and yet others. In general most of the ideas of cycle, dualism, polarity, opposition, conflict, but also of reconciliation of contraries, of coincidentia oppositorum, were either discovered or clarified by virtue of lunar symbolism. We may even speak of a metaphysics of the moon, in the sense of a consistent system of “truths” relating to the mode of being peculiar to living creatures, to everything in the cosmos that shares in life, that is, in becoming, growth and waning, death and resurrection. Full Moon over Saint Paul, Minnesota. Photo by Rubin Latz. Full Moon peeking through the trees in southern Indiana. “We must strive to be like the moon.” An old woman in Kabati repeated this sentence often… the adage served to remind people to always be on their best behavior and to be good to others. She said that people complain when there is too much sun and it gets unbearably hot, and also when it rains too much or when it is cold. 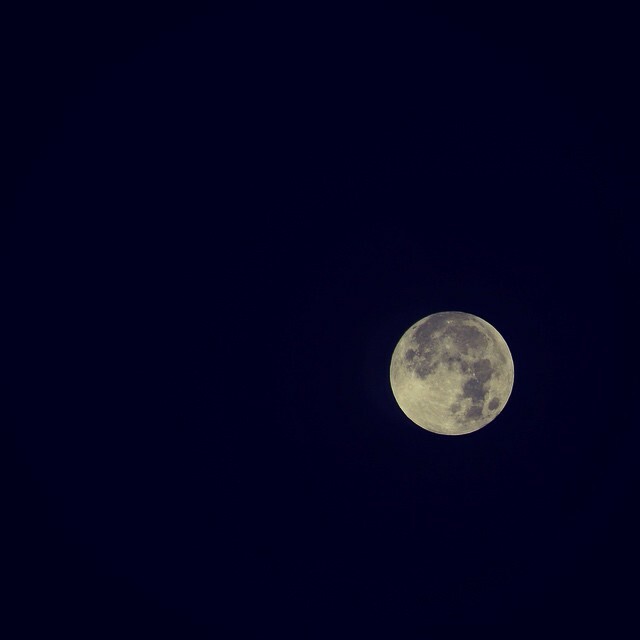 But, no one grumbles when the moon shines. Everyone becomes happy and appreciates the moon in their own special way. Children watch their shadows and play in its light, people gather at the square to tell stories and dance through the night. A lot of happy things happen when the moon shines. These are some of the reasons why we should want to be like the moon. Full Moon over the shores of eastern Maryland. Photo by Robin Simmons. 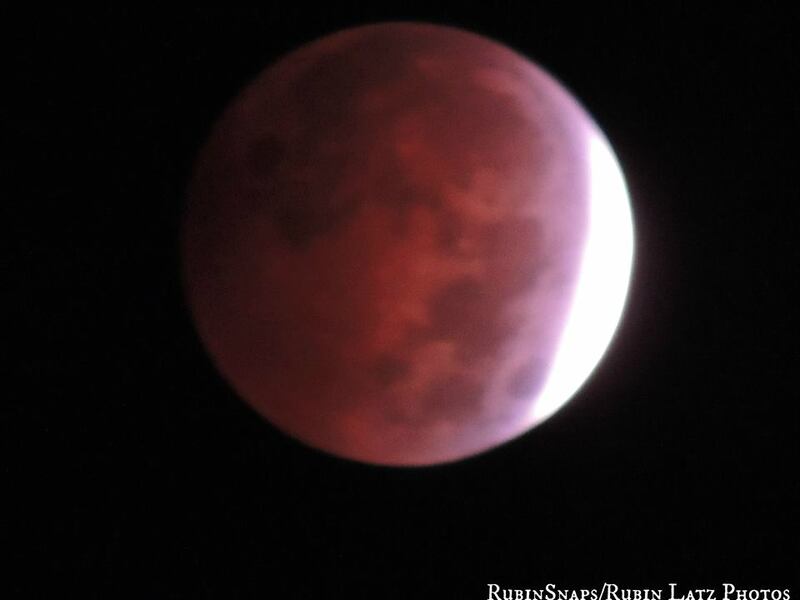 Eclipse, as taken by Rubin Latz. But about the first watch the Moon in eclipse, hid at first the brilliance of her heavenly body, then all her light was sullied and suffused with the hue of blood. 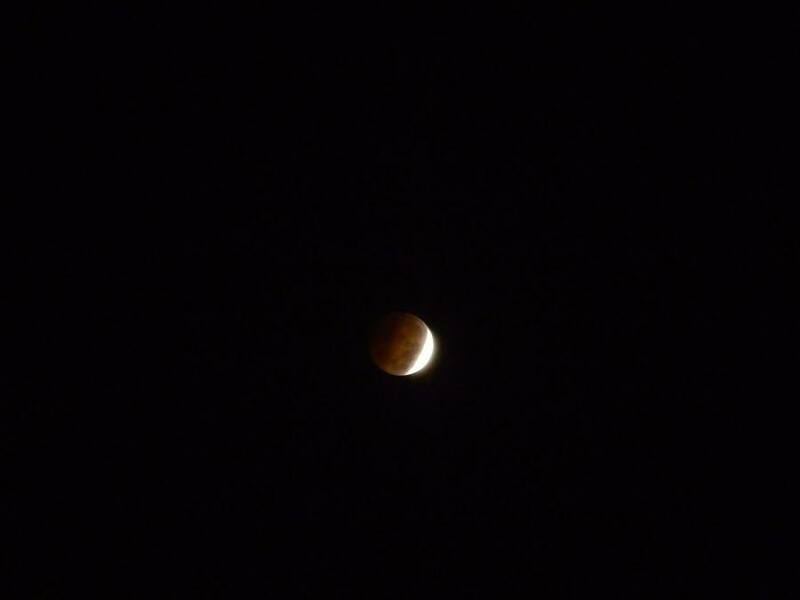 Eclipse, as taken by MoonRose. This is a powerful moon, my friends…heralding powerful times to come. How you choose to use that power is up to you. Power in and of itself is not necessarily a bad thing. After all, the word derives from the Latin “podere” – which means to be able. What are your own abilities? How can and will you use those abilities in the upcoming days, weeks and even months to create changes in your own lives, and in the world around you? But as we seek to use the energies of this moon and lunar eclipse to empower ourselves, we must always remember to utilize Power-From-Within, never Power-Over. Power-From Within is a power that comes from recognizing those abilities…as well as our limitations. Channeling this power requires personal integrity, courage, and wholeness – and it does not confer the right to control another. So as we celebrate this Blood Moon and Lunar Eclipse, here is wishing each and every one of you the power to transform, to utilize your creativity in amazing ways, to stand up for what you believe in, and to heal yourselves and your universe. May the blessings of the Moon be with you always. 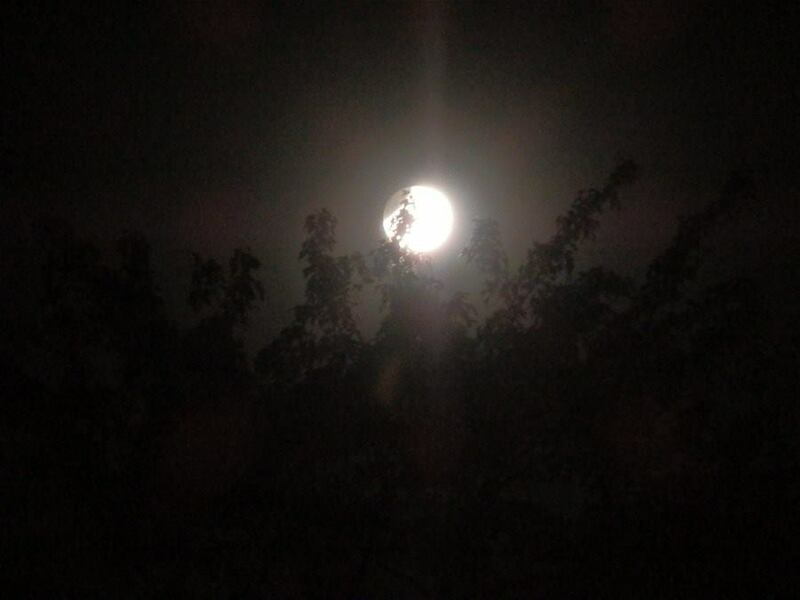 I did to do ritual and feel with blessings on Full Moon of October 8, 2014! And then I do the meditation to cleanse myself. And prayers sent. And am looking foward to SamHain!